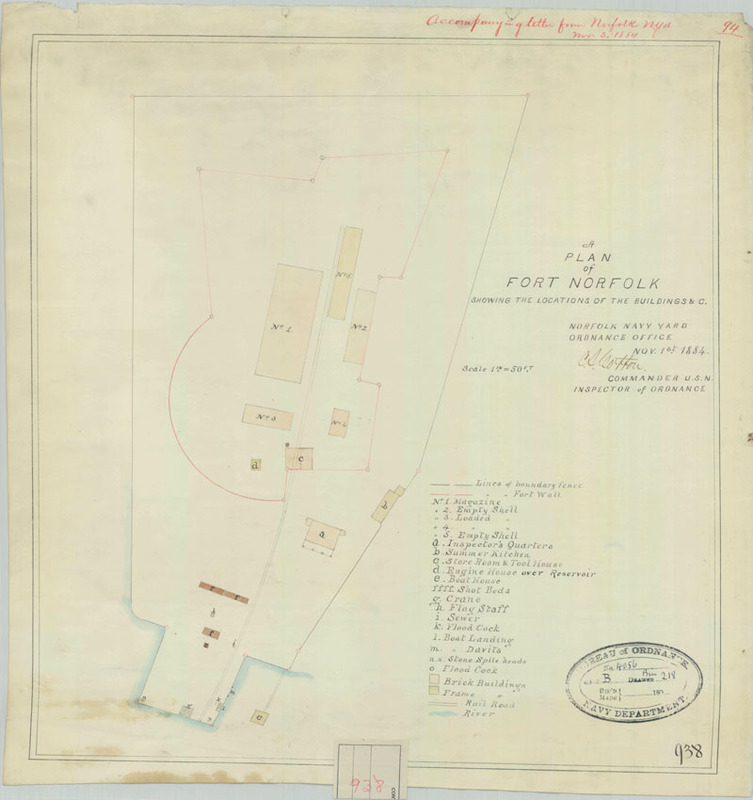 In November 1884, the Bureau of Ordnance prepared a plat of Fort Norfolk identifying the buildings within its walls (Bureau of Ordnance 1884) (see above). Although other documentary evidence suggests that explosive materials had been removed from the fort by 1880, the 1884 plat seems to suggest otherwise. The plat depicts all of the buildings standing inside the fort, and two are identified as housing "loaded shells." However, this may simply indicate the former use of the buildings (see above). In 1885, a plan was drawn showing the lightning rods affixed to the powder magazine building. 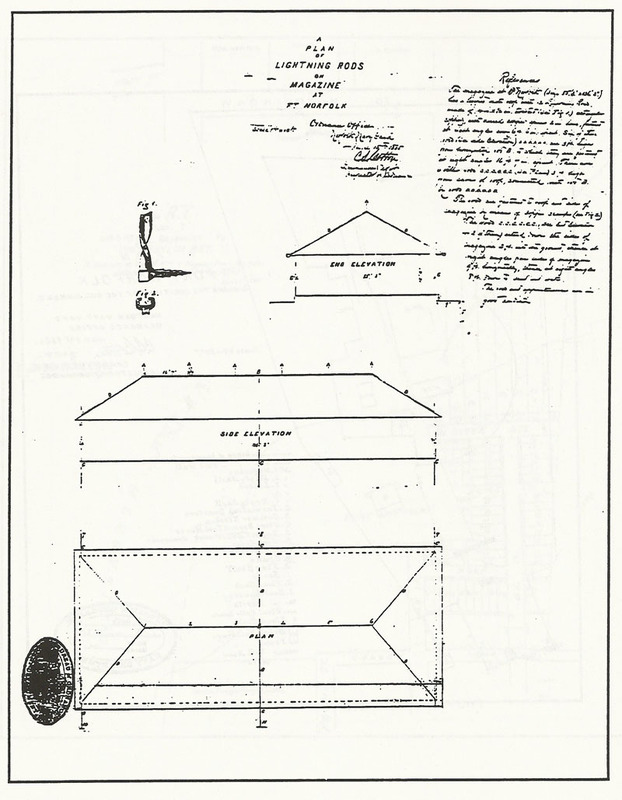 The purpose for the 1885 plan is not certain, but it does show the location of the lightning rods along with details of the fixtures (Bureau of Ordnance 1885) (see below).